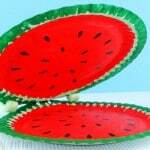 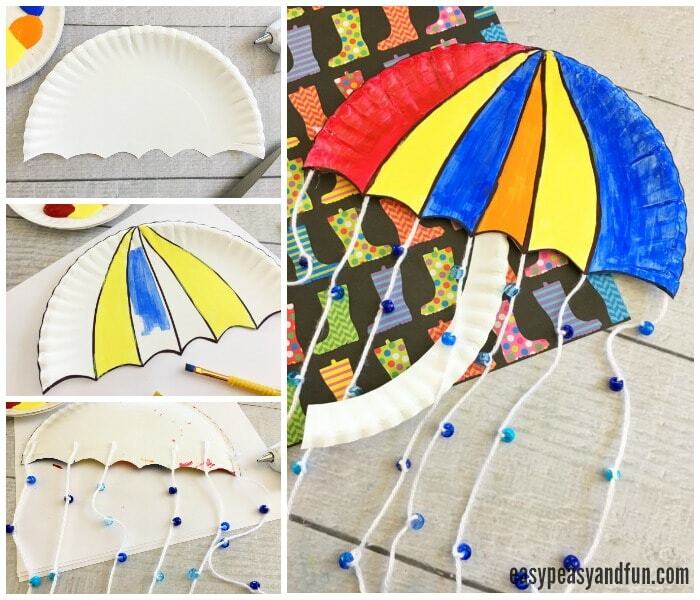 What better craft to make on a super rainy day than an umbrella paper plate craft? 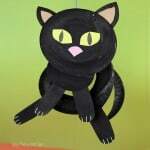 This one even has a whole bunch of little rain drops! 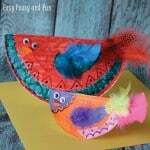 As they need to be carefully stringed on the thread this makes this craft a great fine motor workout for your kids! 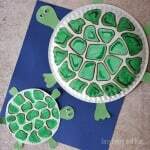 It is fun to play outside on a rainy day (the puddles are hard to resist no matter how old you are!) 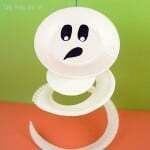 but when it’s super rainy, accompanied with cold strong winds, staying in doors is certainly more appealing. 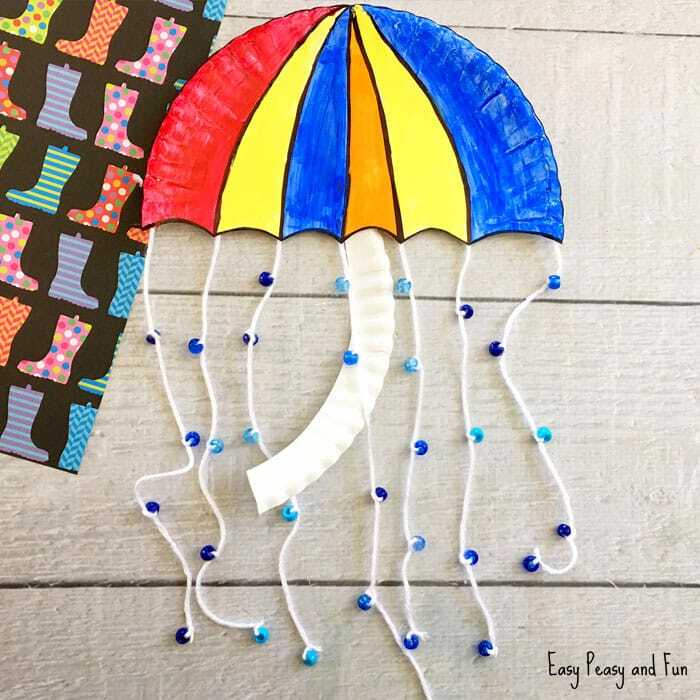 But you can still celebrate rain and raindrops by making an umbrella craft. 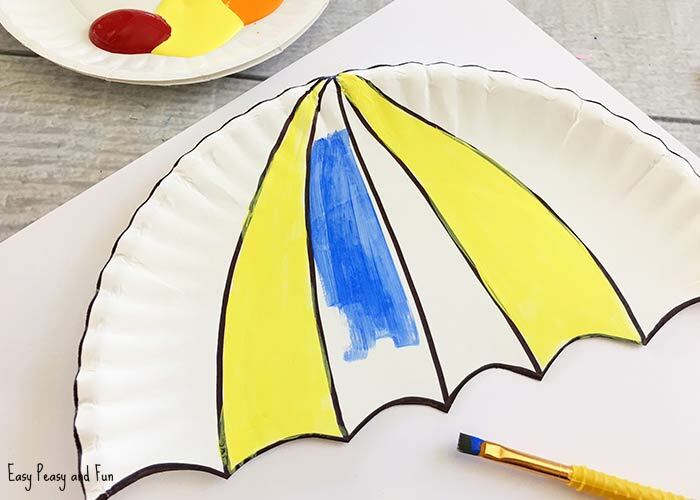 This umbrella craft is made using a paper plate but you can just as easily use construction paper to make one. 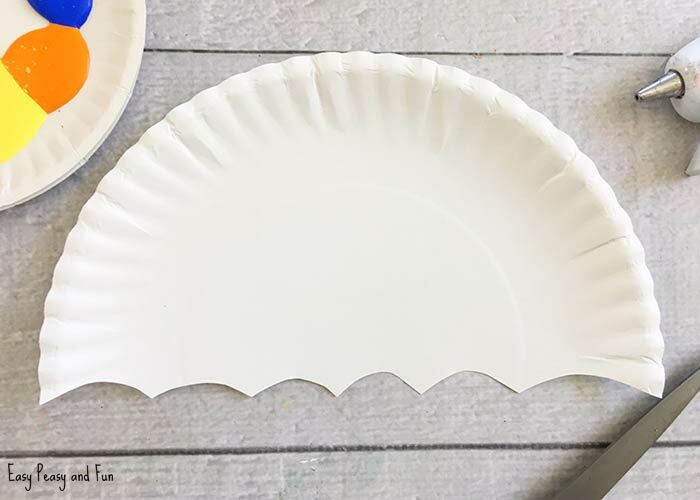 Cut off the bottom half of your plate and set aside for the handle. 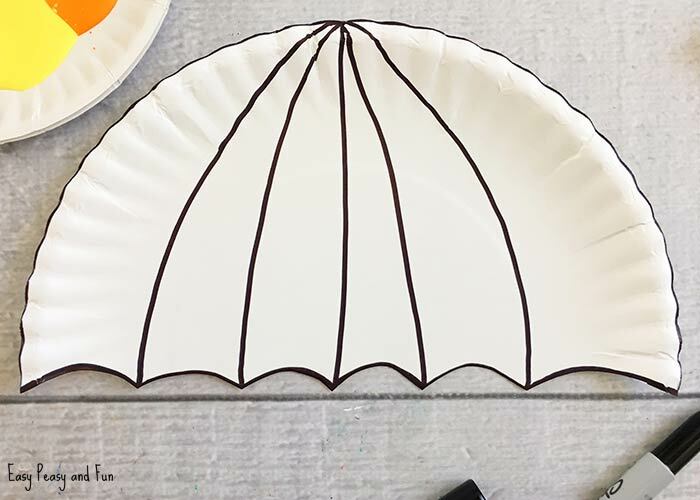 Cut the bottom of your larger plate piece in a reverse scallop pattern for the bottom of your umbrella. 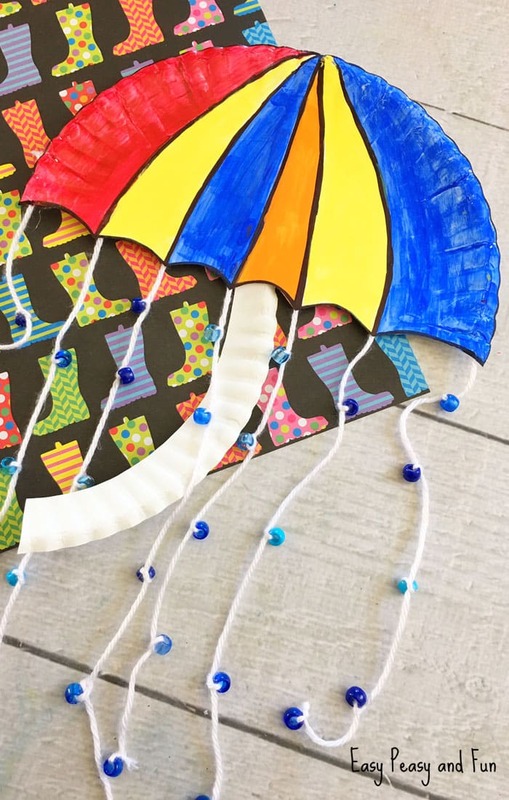 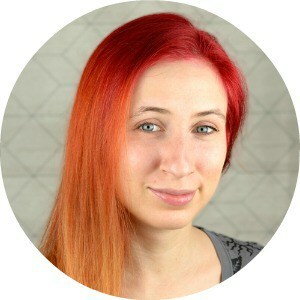 Using your black marker draw several lines from the top center of your umbrella connecting to each point on the bottom of the umbrella and outline the outside of your umbrella. 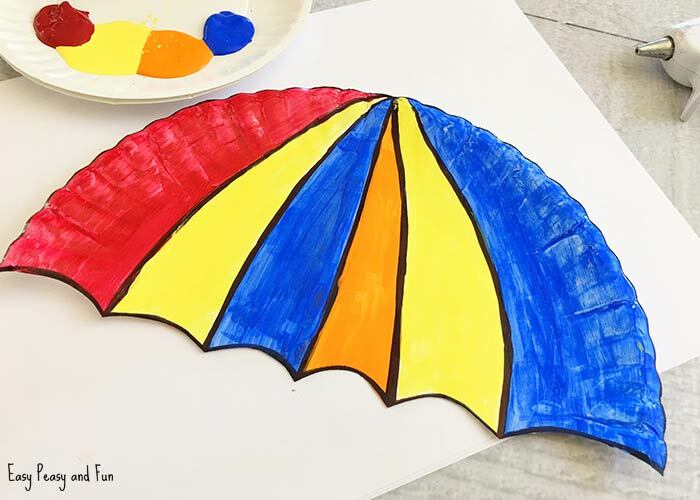 Paint each section of the umbrella a different color and let dry. 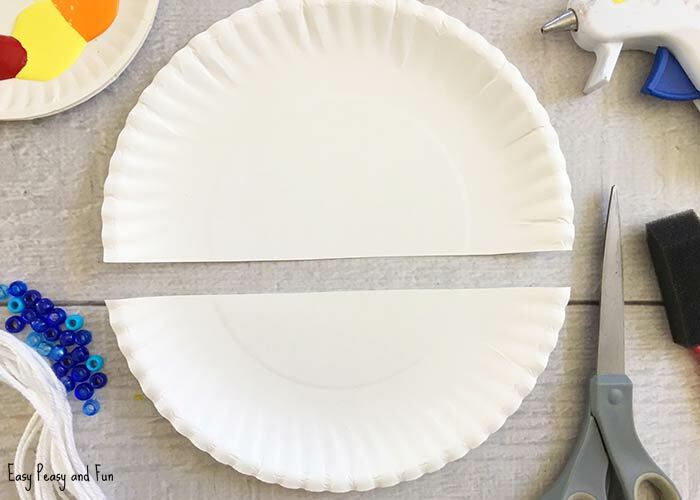 Cut the bottom piece of the plate you set aside into a handle for the umbrella and glue to the back bottom center of the umbrella. 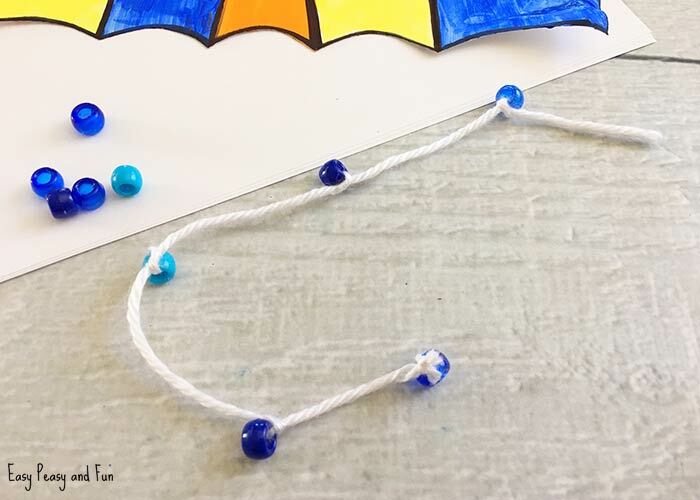 Cut about 7 10″ pieces of yarn and tie 4-5 blue beads into each strand and double knot the bottom beach on each strand. 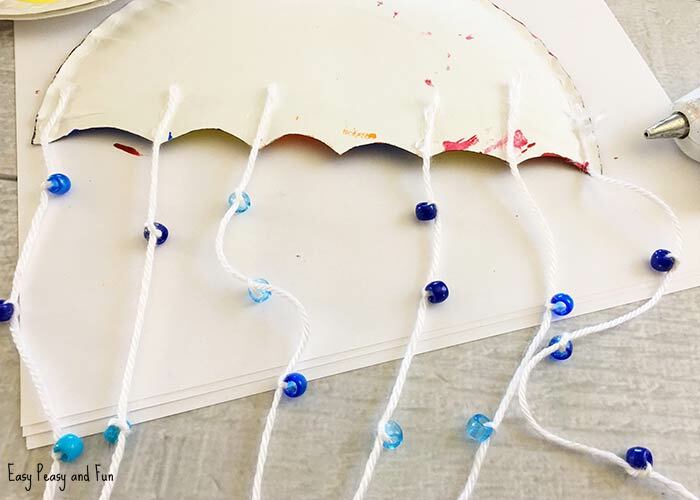 Turn your umbrella plate over and carefully glue each strand onto the bottom points of the umbrella. 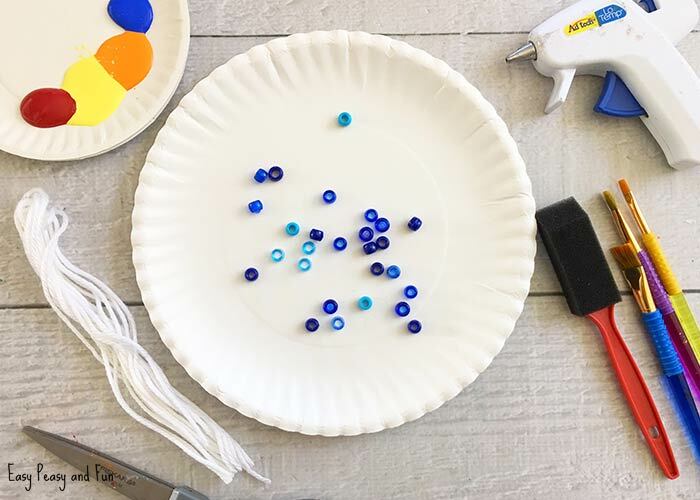 You can use a glue gun or clear tape. 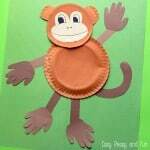 Your Umbrella Paper Plate Craft is done!